If you are looking for builders in Waltham Forest, you have come to the right place. We are a London based building company covering all of London. We successfully provide all aspects of building and refurbishment services including extensions, brickwork, conversions and construction projects. All the work is carried out to the highest standard and in accordance with the government regulations. We are a team of fully trained building professionals at your service to ensure that all you need to build up or upgrade your property is well taken care of. We are considered one of the most reliable and trusted building companies in Waltham Forest, and pride ourselves on our very high standards. Whether it is a commercial or domestic extension, renovation project or a new build that we are completing, it is our commitment to ensure that the work we deliver is worthy of our top-class reputation. We are always available to offer advice on all kinds of property construction, renovation, and improvement matters. Builders London work closely with Surveyors, Interior Designers, and Architects among other professionals to create new solutions that provide excellent value for money while keeping quality and excellence as a priority. It is only professionals who are properly qualified to a high standard and fully trained with an expert eye that carry out our work. Our experienced team of professionals follow each stage of your project from the designing of the plumbing system to the decorations, to tiling, to complicated electrical wiring to ensure that everything is handled with the thoroughness and care it deserves. We also work with trusted suppliers that we source materials directly from, which allows us to offer you a wide variety of options to match your budget at the best prices possible. Our aim is to provide quality workmanship from the initial planning stages through to design, construction, and completion. We work with a large team of only the best professionals to guarantee exceptional results, regardless of the scale or size of the building project. Builders London are able to offer our clients innovative solutions courtesy of our technical know-how and experience to bring ideas to life while still being flexible enough to adapt to your individual needs. We always complete projects within the set deadlines to uncompromising standards. Our expertise and professionalism that we have always delivered allows us to build long term relationships with our clients. We consider honesty to be the best policy and hold ourselves to the highest standards of integrity. We are in the construction business because we love it. We are dedicated to every project that we undertake and take great pride in the final product that we deliver. 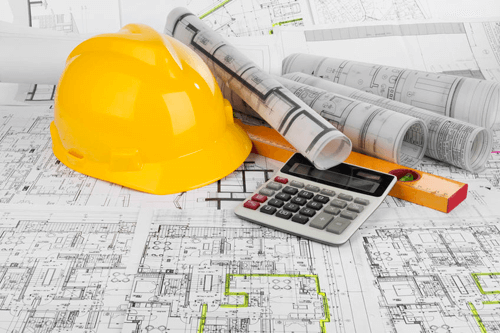 We provide full project management for proposals, detailed estimating, permitting, as well as coordinating subcontractors. We are always in control, which means that you can have peace of mind knowing that your project is in the right hands. Builders London take all our customers step by step through their project offering them complete transparency of operations as well as ultimate control throughout, managing all projects from start to finish. It is your property and it will be built exactly as you want. Our excellent customer service has earned us numerous happy and satisfied customers. If you are interested in undertaking a project with our company, please find our details on the contact page to arrange a free, initial meeting where our experienced consultants will be glad to offer you some advice and help on your project along with a free price estimation. We look forward to hearing from you and helping you with all your building requirements. Talk to us today to transform your vision for your property into reality within the shortest time possible and with the best results possible.